The rarest of the rare?? Finally the day came and we could head for the famous German VW Meeting. We went for a little "luxury" this time and travelled by plane and slept in a nice hotel. The market was as good as expected, and the prices of course higher than anyone could dream about. Just the way we like it =) Some nice parts found their way home to Norway, though some of us had a struggle getting them through security at the airport.... All in all a perfect weekend for VW nuts like us. We will try to post some pictures of our highlights of the weekend. We will be back!! 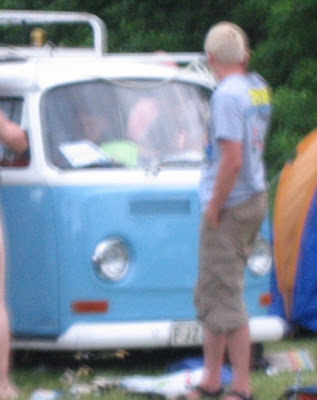 The Norwegian VW-society had this year gathered for a joined camping during Bug Run 07. This period styled rallye car is starting to look like it used to be driven this way. It is certainly coming together now and the premiere run to Mantorp should be possible. So we thought.... After some local dragracing against the 356 engined Jungle green Oval, the clutch started slipping big-time. It seem to be no other way to sort this out, than to rip the engine out of the car again. The engine making trouble for the clutch is a engine built by Kvikk Service in Norway, and is based on a singelport 1300 F engine. The only visible proof that the engine is modified are a 8 doweld crank, and some ported heads. The compression also seem to be higher than standard. A 30 PICT carburator with more flow throught it than standard, combined with a displacement of approx. 1750 ccm, makes the whole thing exiting. 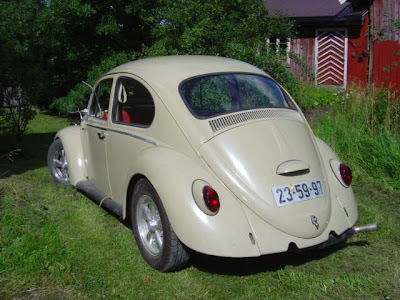 The package looks pure stock, but after testing against the 356 engine, the power output should be somwhere between 70-80 horsepower at least. 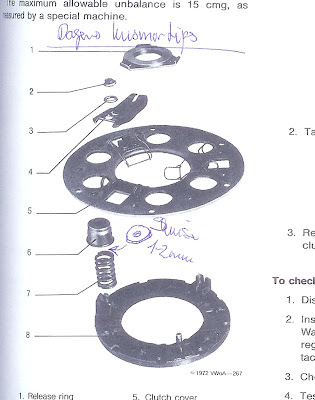 The final results to compare will be easier with a functional clutch. 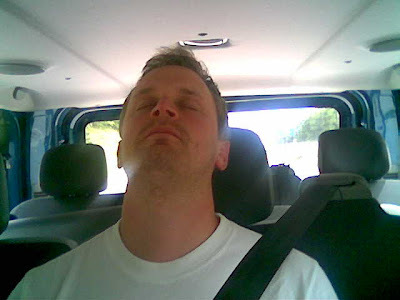 It is one week to Mantorp, and monday evening is reserved for clutch trobleshooting.... the best of luck Fürsten.